I've talked to some women lately who eat my recommended diet of lots of veggies, fruit, salads, beans, nuts, and some fish. But they're still suffering from high blood pressure. Take Enid, for example. She eats a lot of canned beans. They're a good source of protein and a quick and filling addition to salads, soups, and main dishes. They're high in fiber too, and she knows that high-fiber foods help reduce blood pressure. Enid also drinks plenty of water throughout the day. In fact, she buys bottled water by the case and always has plenty in her car. Enid has a lot of healthy habits. But her blood pressure is always high for someone who eats as well as she does and who exercises regularly. 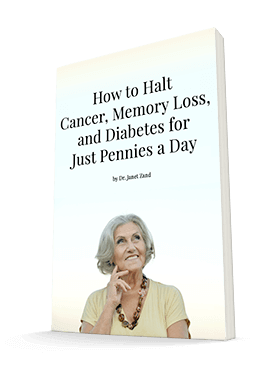 Enid and her doctor have been looking for the reason behind her high blood pressure. They both know it could be hereditary. But what if it's not? What if the culprit is actually lurking among her seemingly healthy lifestyle choices? According to a study recently published in Hypertension, that just might be the case. You see, in addition to beans and water, Enid has been getting something else in those cans and bottles: a chemical called bisphenol A, or BPA. I've told you about the dangers of BPA in the past. Studies show they can cause neurological problems, asthma, and other health problems. But this study shows that BPA also can increase blood pressure. BPA is hard to avoid. In fact, the study authors report that more than 95% of Americans have had measureable exposure to this chemical. But you can certainly increase or decrease your exposure depending on the choices you make. Another study found that if you eat canned soup for 5 days, your urinary BPA concentration increases by 1,000% compared to if you'd eaten fresh soup. And the link to blood pressure makes these numbers sobering. Study author Dr. Yun-Chul Hong of Seoul National University College of Medicine in South Korea explains that drinking just two canned beverages can cause systolic blood pressure to increase by 5 mmHg. To put that in perspective, an increase of 20 mmHg doubles your risk of heart disease. Dr. Hong and co-author Dr. Sanghyuk Bae wanted to confirm that the blood pressure increases were really the result of the cans and not their contents. So they asked 60 participants, all over the age of 60, to drink soy milk, which does not contain any blood pressure-raising ingredients. The participants drank the milk out of either glass bottles or cans. The researchers found that the participants' urinary concentration was 1,600% higher when they drank out of cans compared to bottles. 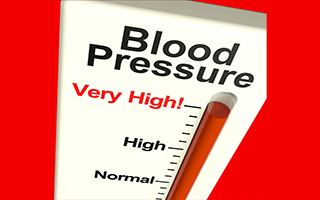 Not only that, their systolic blood pressure increased by about 4.5 mmHg. While the authors note that this study doesn't provide information about the long-term effects of BPA exposure, it does shed light on situations like Enid's. Once she and her doctor figured out the problem, she began putting her drinking water in BPA-free plastic bottles or in glass bottles. She also limited her canned food intake to one or two cans a week. And she began to take PectaSol Detox Formula to help rid her body of the chemicals she'd been exposing herself to. Eating beans and drinking water are certainly healthy choices. But make sure you monitor not only what you consume but how you consume it. You don't want these habits to backfire!